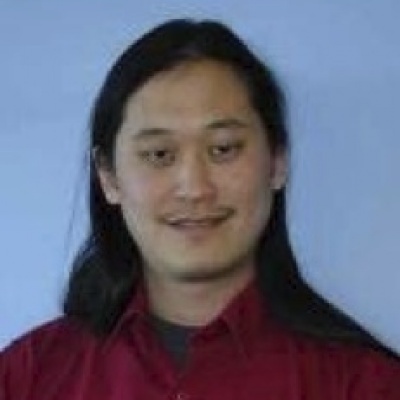 Dr. David T. Tsao is the Americas Remediation Engineering and Technology Manager in BP’s Remediation Management function at their Naperville, IL office. He is responsible for a team of specialists coordinating, developing, and implementing the technical clean up strategies for a broad range of BP sites. He is active in oil spill response planning and prevention, and lead the Bio-Chem Strike Team for the Deepwater Horizon response. He is also responsible for evaluating and minimizing the potential environmental impacts of new products and activities associated with unconventional and alternative energy sources. David is a chemical engineering graduate of Purdue University (B.S., M.S., Ph.D) where his research included plant biotechnology, pharmaceutical production, and plant production for space (NASA) applications. Upon graduating, David worked for Amoco specializing in the remediation of fuel oxygenates and the use of phytotechnologies for remediation and prevention. He remains active in several remediation and restoration technology areas by actively developing, publishing research and technical guidance, and teaching these technologies. He is a founding member in the International Phytotechnology Society and Senior Associate Editor of the International Journal of Phytoremediation. David serves on the Board of Advisors for the Interstate Technology and Regulatory Council, a U.S. regulatory association. Dr. Jason C. White is the current President of the International Phytotechnology Society. 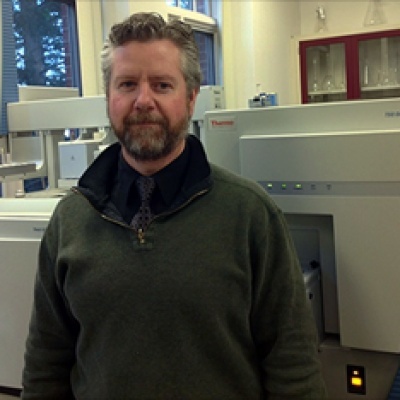 Dr. White’s full time position is as Vice Director and Chief Analytical Chemist at the Connecticut Agricultural Experiment Station (CAES). Dr. White received his Ph.D. in Environmental Toxicology from Cornell University in 1997. After one year as a Post-Doctoral Associate at CAES, Dr. White joined the Department of Soil and Water in 1998. In 2009, he assumed the Department Head position in Analytical Chemistry and in 2013, was also appointed as Vice Director. The CAES Analytical Chemistry department provides sample analysis to all other state agencies, and also participates in the FDA Food Emergency Response Network (FERN) Chemistry Cooperative Agreement Program (cCAP). Dr. White also has research programs in two separate areas; nanomaterial contamination of agricultural crops, as well as the phytoremediation of soils contaminated with persistent organic pollutants. Dr. White also has Adjunct Faculty Appointments at the University of Texas-El Paso, Quinnipiac University, the University of New Haven, and Post University. He currently resides in Prospect CT with his wife Michelle, and six children (ages 5-19). Dr. Barbara Zeeb received her PhD from Queen’s University, Canada in 1994. 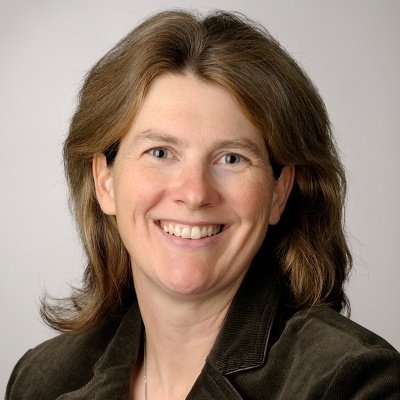 She joined the Environmental Sciences Group (ESG) at the Royal Military College of Canada (RMC) in 1996 to co-ordinate environmental research projects, supervise graduate students, and manage environmental projects at numerous active and abandoned military installations across Canada. Since 1999, Dr. Zeeb has been involved in studies to phytoremediate heavy metals and organochlorines (in particular PCBs and DDT). Working with government agencies (Environment Canada, Ministry of Natural Resources, and US EPA), and contaminated site owners, she has worked to provide a realistic picture of the benefits (and pitfalls) of organochlorine phytoextraction. In January 2004 (and renewed in 2009) Dr. Zeeb was awarded a Canada Research Chair in Biotechnologies and the Environment at RMC in the Department of Chemistry and Chemical Engineering, as well as Canada Foundation for Innovation Awards, to fund the creation of her analytical laboratory and purchase of a controlled plant growth chamber dedicated to biotechnological research. Recently she was awarded a second NSERC Collaborative Research and Development grant to expand her current work on biochar characterization and utilization for contaminant sorption at new field sites, including those impacted with high concentrations of salts. 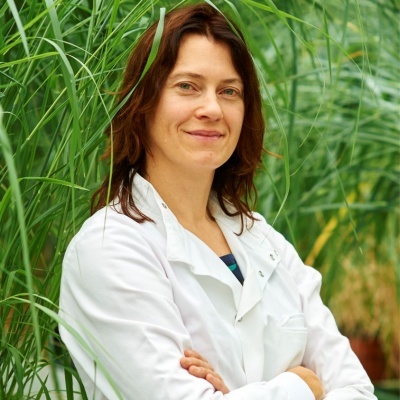 Dr. Zeeb is also an Adjunct Professor in the Departments of Biology and Environmental Sciences at Queen’s University, Canada and on two occasions she has participated in teaching mini-courses on phytoremediation to researchers and land owners in Eastern Europe. Dr. Om Parkash (Dhankher) received his PhD in Plant Molecular Biology from Durham University, Durham (United Kingdom) in 1998. He joined the department of Genetics as a senior postdoctoral research associate at the University of Georgia, Athens and later promoted to the Assistant Research Professor in 2002. Dr. Parkash joined the Department of Plant and Soil Sciences as an Assistant Professor at the University of Massachusetts Amherst in 2005 and is currently an Associate Professor in the Stockbridge School of Agriculture, University of Massachusetts, Amherst. He is serving as an Associate Editor for the Frontier’s Agricultural Biological Chemistry, International Journal of Plant Biology Research, and International J. of Plant and Environment; also serving on the Editorial board of International Journal of Phytoremediation. Prof. Parkash is a member of the International Phytotechnologies Society, American Society of Plant Biologists, Agrnomy Society of America and Crop Science Society of America. He has served a three-year term (2012-2015) in the Executive Committee of the American Society of Plant Biologists. Dr. Parkash’s research focus includes the molecular and biochemical mechanistic studies of heavy metals and engineered nanoparticles uptake, transport, detoxification, and accumulation in food and non-food crops; engineering non-food high biomass plants with enhanced phytoremediation of heavy metals; engineering food crops to reduce the uptake of toxic metals in the food chain. His research team is also developing climate resilient crops via manipulating key pathways and network of genes responsible for enhanced tolerance to multiple abiotic and oxidative stresses and GSH homeostasis for improving crop yield under changing climate conditions. Additionally, his laboratory is involved in metabolic engineering of oil seed crops such as Camelina sativa, Crambe abyssinica and Brassica juncea for improved oil yields for biofuels production and specialized biopolymers for industrial uses. 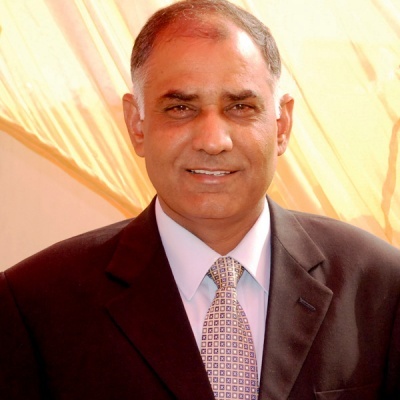 Prof. Parkash has extensively published his research findings in high profile journals including Nature Biotech, PNAS, The Plant Cell, Plant Physiology, New Phytologist, Plant Biotechnology J. etc. and has several patents awarded to him based on his research findings. His research has been widely publicized in numerous leading national and international newspapers and science magazines. Further details can be found at his weblink. 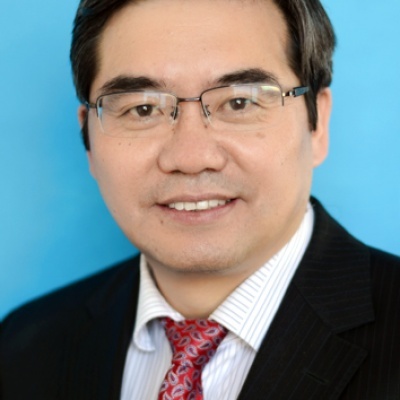 Yongming Luo is the former General-Director of Yantai Institute of Coastal Zone Research, Chinese Academy of Sciences (YIC-CAS) and now is a Director of Key Laboratory of Coastal Environmental Processes and Ecological Remediation, CAS(since 2011). He is also the professor of Institute of Soil Science (ISS), CAS and was a Director of Key Laboratory of Soil Environment and Pollution Remediation, CAS during 2008-2012 in ISS-CAS. Dr. Luo received his PhD degree at the Queen’s University of Belfast in UK in 1997. He joined the ISS-CAS in 1998 as a “Hundred Talents Program” professor. In 2011, he was appointed as a vice director and professor at YIC-CAS, and then the General Director of YIC-CAS in 2013.Dr. Luo has served as an active member of the International Phytotechnology Society and an editorial board member of the International Journal of Phytoremediation since 2003. He is also a scientific steering committee member of Future Earth Coast and the director of the East Asia Node since 2011. He has served as an executive member of the Soil Science Society of China since 2012, and the academic consultant of the Soil Remediation Committee of SSSC since 2014. Dr. Luo’s research interests mainly focus on soil environment and pollution remediation (especially phytoremediation and bioremediation), regional environmental quality and risk management. He has more than 20 years of experience in fundamental and applied researches with more than 400 (co-)authored scientific papers and 20books. He has also obtained 27patents on soil methodology and remediation technology in China. In the last two decades, he has headed more than 30 large multidisciplinary research projects which include 6 projects of international cooperation with the USA, UK, Germany, the Netherland, Australia and Japan funded by Ministry of Science and Technology of China (MOST), National Natural Science Foundation of China (NSFC) and Chinese Academy of Science (CAS). He, as a chairman, organized 15 international conferences, including 5 SOILREN, 3 SITEREM and 2 PHYTOTECH (2008 in Nanjing and 2016 in Hangzhou). He was awarded as the “National Outstanding Young Scientist” by NSFC (2001) and the first prize of the 9th and 11th “Science and Technology Award of Soil Science Society of China” (2014 and 2016). 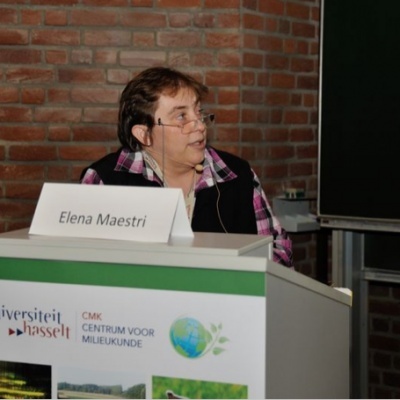 Elena Maestri is currently a Full Professor of Biology at the University of Parma (Parma, Italy), working in the Department of Chemistry, Life Sciences and Environmental Sustainability. She obtained the Master degree in Biology at the University of Pavia (Italy, 1985). The PhD in Genetics (University of Ferrara, Italy, 1989) concerned plant responses to carbon starvation. Postdoc positions at the University of Parma were focused on studies of abiotic stress response in plants (heat shock, drought). After obtaining a permanent position at the University of Parma in the group led by Prof Nelson Marmiroli, the research activities shifted towards environmental pollution and phytotechnologies, nanotechnologies and toxicity, food safety and authenticity, sustainability in agriculture, capacity building. She is a professor in the Bachelor degrees of “Biotechnology” and of “Sciences for Nature and Environment”, teaching general and animal biology, environmental biology, applications of transgenic organisms. She is the current Coordinator of the “Biotechnology” bachelor degree. She participates in the Italian Consortium for Environmental Sciences (CINSA) and in the National COnsortium for Science and Technology of Materials (INSTM). 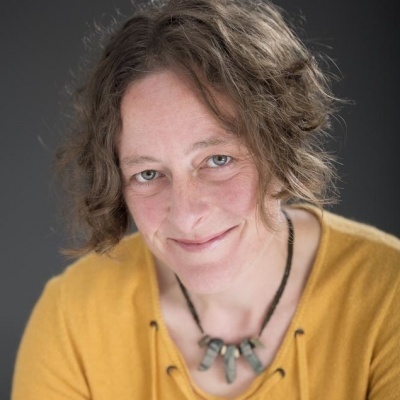 She is Subject Editor for “Phytoremediation and ecosystem restoration” for the journal ESPR – Environmental Science and Pollution Research, and in the Editorial Board of the International Journal of Phytoremediation. She has been active in the International Phytotechnology Society since 2007, recently in the Board of Directors. Prof Elena Maestri has co-authored over 85 peer-reviewed publications and delivered over 85 presentations at conferences and congresses. Her current h-index is 24 with over 2600 citations (Scopus, 2017). 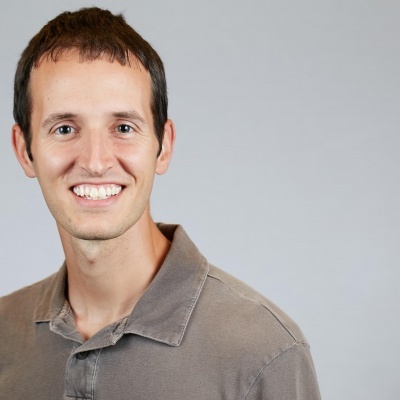 Matt Limmer is a post-doctoral researcher at the University of Delaware in the Department of Plant & Soil Sciences. He researches the biogeochemical interactions of arsenic, silicon, and rice. He graduated from the Missouri University of Science and Technology in Environmental Engineering where he studied plant interactions with organic contaminants, with a specific focus on phytoscreening. Renee Stoops is a clear and passionate ecological horticulturist and communicator specializing in bridging diverse scientific and spiritual dimensions for the purposes of applying practical strategies to our managed landscapes to provide ecosystem services-clean water, clean soil, clean air, and habitat and to re-balance the human relationship with the natural world. She is currently Owner and Principal at Plant Allies with her substantial academic, professional, and life experience in stormwater and wastewater treatment consulting, plant selection and management, writing, teaching, science translation, partnership building, wetland conservation/restoration/management, sustainable landscapes, and Plant Spirit Medicine (TM). Renee received her B.A. in Biology/ Geology from Brown University in 1994, and her M.S. in Plant Science from the University of Rhode Island in 1999. She recently developed, wrote curriculum, launched, and taught an Associates Degree Program in Phytotechnology at Chemeketa Community College- the only program of its kind in the country designed to train the workforce needed for expanding phytotechnology application and demand. Renee managed the Oregon Garden’s 17+acre constructed treatment wetlands for 12 years- a system that is unique in its integration of regulatory, science, and public botanical paradigms. From 2003-2012, she directed and managed all aspects of The Sustainable Plant Research and Outreach Center (SPROut). Her accomplishments with SPROut include innovative research with floating wetlands, notable publications (such as supplements to Sustainable Industries Journal), a regional phytotechnology conference called “Soak It Up‚” and hosting the 2011 IPS Conference in Portland, Oregon. She was a member of the Oregon Department of Environmental Quality (DEQ) Advisory Committee to rewrite the regulations for Recycled Water use. She was one of the inaugural certified “Green Roof Professionals” by Green Roofs for Healthy Cities. In reference to the Oregon Garden wetlands and SPROut’s outreach efforts and in partnership with the City of Silverton, she won the “Sustainability Award” from the Pacific Northwest Clean Water Association at their 2009 annual conference. She has lectured and given keynote presentations for many different industries and continues to actively seek out opportunities for technology transfer from science to landscape.